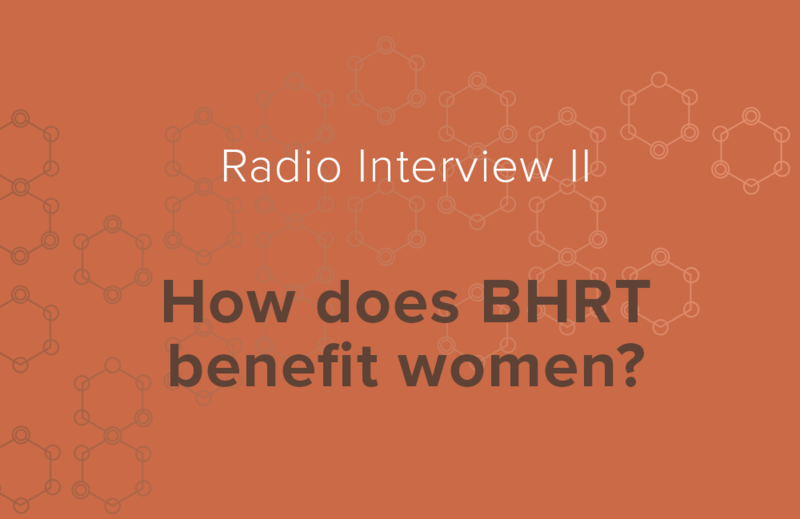 Interview: How does BHRT benefit women? 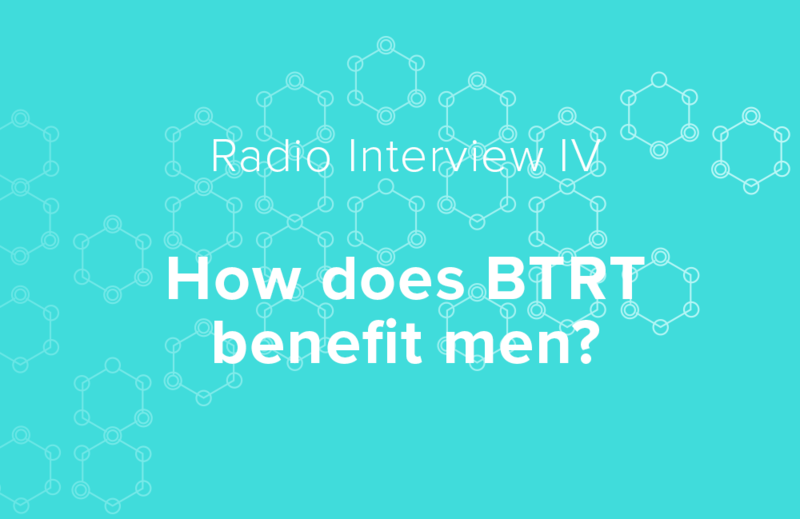 Interview: How does BTRT benefit men? 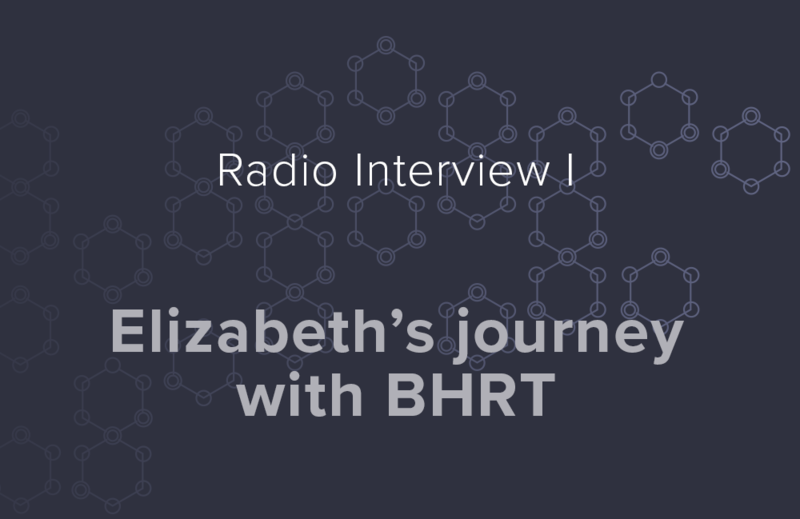 Elizabeth provides answers to FAQ on BHRT. 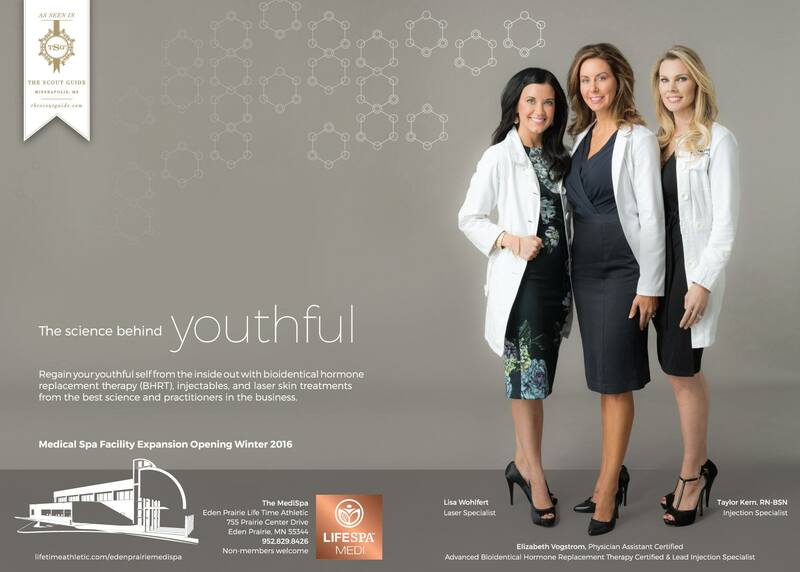 The February 2016 issue of The Scout Guide previews the newly expanded MediSpa at Life Time Athletic in Eden Prairie, MN. Elizabeth is pictured with colleagues Lisa Wohlfert and Taylor Kern. The Scout Guide is sent to thousands of homes in the Mpls/St. Paul area, and it’s distributed at high-end retail stores, the best hotels in town, and at special events. 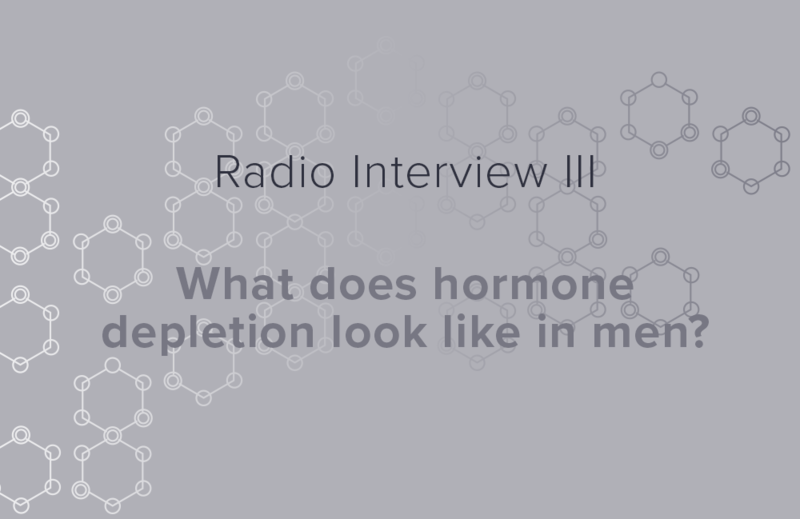 When I started bioidentical testosterone replacement therapy, my energy level took off after a couple weeks if not sooner, my joint pain began to subside and I saw strength increase after just 4 weeks. 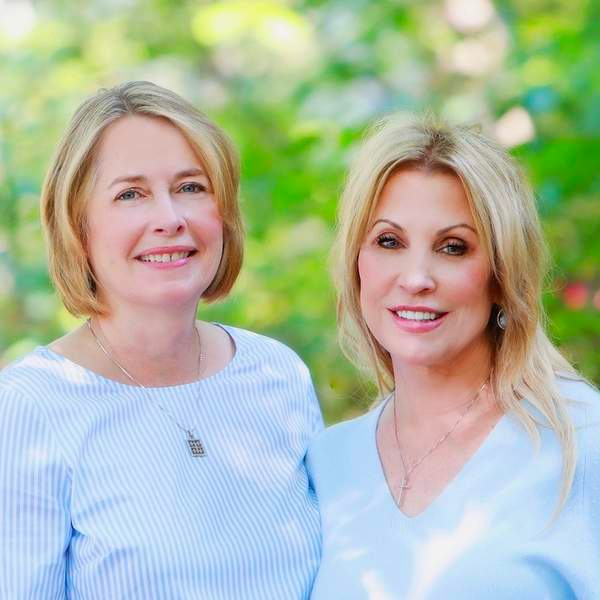 Elizabeth has great knowledge, speaks to you so you can understand what she is doing and why, and truly cares about not only the results but each step in the process. I feel great, like I did in my 20’s! 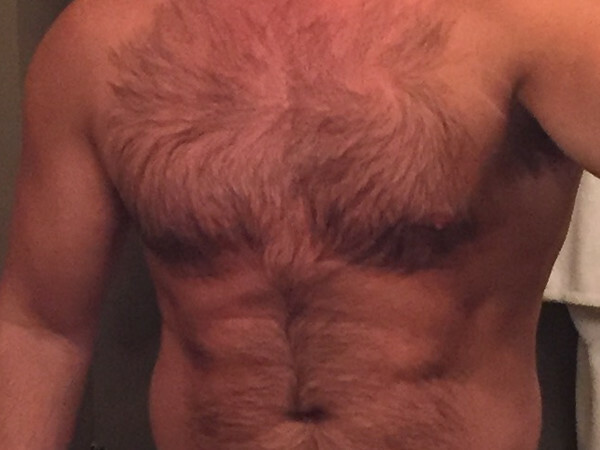 Why did you seek testosterone replacement therapy? Low energy, difficulty in losing the body fat at this age as compared to my 20’s/30’s, joint pain & long recovery time from my workouts. Had you tried another treatment for Low T? I did injections but didn’t like the side effects of water retention and mood swings I experienced after each injection. What is the timeline of your therapy? I started in May of 2015, and still going strong! At which point did you start to notice results? The energy level took off after a couple weeks if not sooner, joint pain began to subside and saw strength increase after just 4 weeks. Body changes started to come after the 4 week mark. Generally, what would you say about your experience? Tremendous! 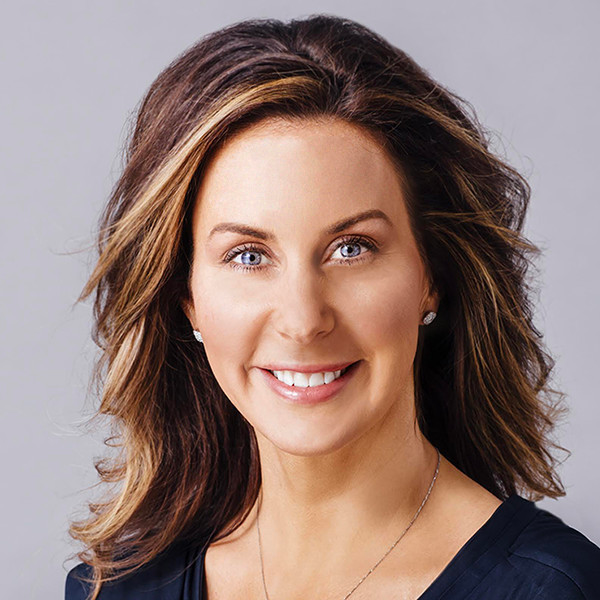 Elizabeth has great knowledge, speaks to you so you can understand what she is doing and why, treats you like a family member, and truly cares about not only the results but each step in the process. Have you/would you recommend Testosterone Replacement Therapy to your friends and family? If you have, what did you tell them? Absolutely! I probably talk about it weekly with at least two people each week, men and women. How great it makes me feel, the energy and confidence I have, that I feel like I did in my 20’s!